Rabbi and cantor at Venice; born in 1621. 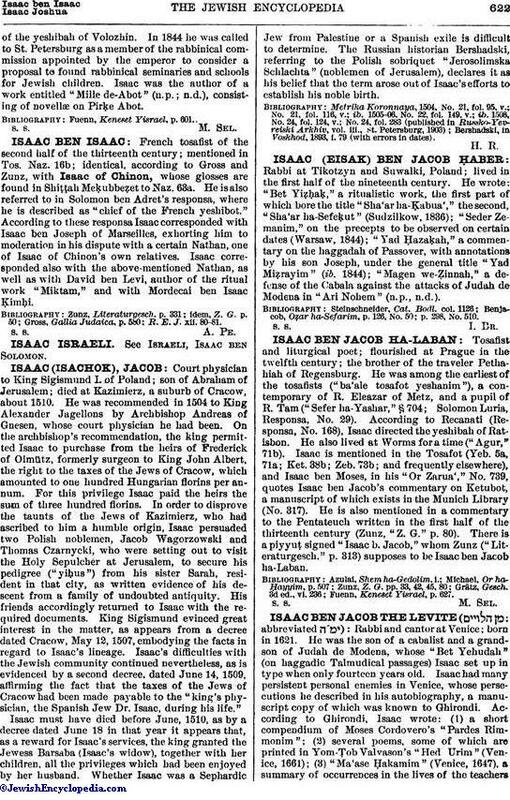 He was the son of a cabalist and a grandson of Judah de Modena, whose "Bet Yehudah" (on haggadic Talmudical passages) Isaac set up in type when only fourteen years old. Isaac had many persistent personal enemies in Venice, whose persecutions he described in his autobiography, a manuscript copy of which was known to Ghirondi. According to Ghirondi, Isaac wrote: (1) a short compendium of Moses Cordovero's "Pardes Rimmonim"; (2) several poems, some of which are printed in Yom-Ṭob Valvason's "Hed Urim"(Venice, 1661); (3) "Ma'ase Ḥakamim" (Venice, 1647), a summary of occurrences in the lives of the teachersof the Talmud, taken from Jacob ibn Ḥabib's "'En Ya'aḳob" (which Isaac cites as "'En Yisrael") and from Judah do Modena's "Bet Yehudah." The narratives follow the order of the Talmudical treatises, and each is closed with a moral sentence. Isaac was both author and printer of this book. He also supplied notes to several of the works of other authors. 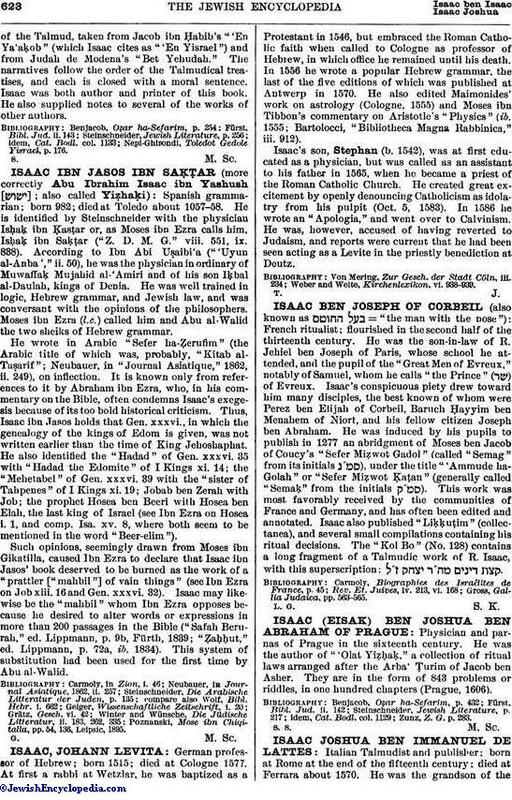 Nepi-Ghirondi, Toledot Gedole Yisrael, p. 176.